Governor of the New Jersey, (1863-1866) a "moderate" Democrat, Parker opposed the Emancipation Proclamation on the grounds it would violate southerner’s property rights and did nothing to encourage the enlistment of black New Jerseyans in the Army. Although agreeing with party extremists on the possibility of southern slave revolts, newly elected Governor Joel Parker, a moderate Declamation on vague Constitutional arguments. In his 1863 message to the Legislature, Parker argued that Emancipation violated the "property" rights of southerners. New Jersey’s African-American soldiers served in a number of regiments and fought on several fronts during the last year of the Civil War. 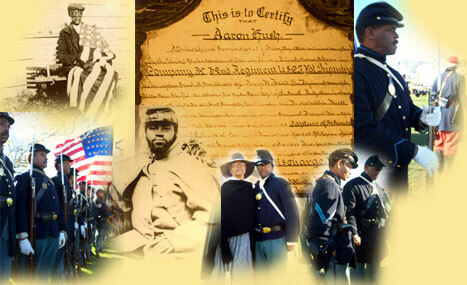 The 22nd United States Colored Infantry (USCI) was organized at Camp William Penn in Philadelphia, Pennsylvania, in January 1864, and it was the men of the 22ND who led the charge against the Rebel defenses at Petersburg. 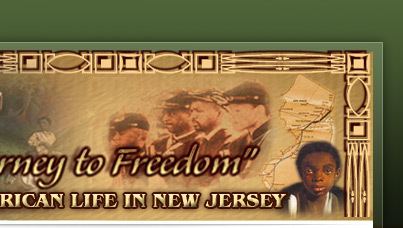 With 681 Jerseyans on its rolls, the 22nd was the most “Jersey” of all USCT outfits. The regiment left Philadelphia for Virginia at the end of January and served at Yorktown through April of 1864, where it was assigned to Garrison duty and served on several reconnaissance missions. On June 15, 1864, the 22nd and its division attached to the White 18th Army Corps. 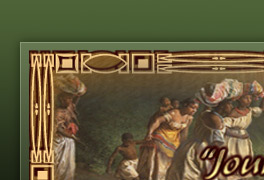 The outfit attacked Petersburg, Virginia, a vital rail center south ofRichmond. Buried in the Ambury Hill Cemetery in Cumberland County’s Springtown are African-American men who served in the Black regiments. 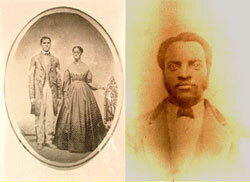 Two men, Edward Staten and John Williams, served in the 22nd USCI. This series contains original commissions, discharge papers, and memorial certificates of New Jersey Civil War soldiers. The items were received by the Archives from private sources. Researchers should note that a great number of similar documents (probably received by the Adjutant General’s Office from private sources) can be found in the bound Civil War regimental records (New Jersey State Archives). Commission certificate, Capt. John G. C. Macfarlan, Ten Eyck Guards, 1st Regiment, Burlington Brigade, New Jersey Militia, Trenton, NJ, August 1861 [ 14”x 17”; Accession #1977.037]. Discharge certificate, Private Silas H. Benjamin, 5th New Jersey Light Artillery [Battery E], New Jersey Volunteers, Richmond, VA, 12 June 1865 [ 8”x11”; Accession #1999.049]. Honorable discharge certificate, Private Lewis Gooden, Company A, 3rd Regiment, Cavalry New Jersey Volunteers, 4 July 1866 [ 14” x 18”; Accession #1975.003]. Papers of Private Samuel Crowell, Company M, 2nd Cavalry, New Jersey Volunteers, 1863 and 1866 [2 items], as follows: Honorable discharge certificate, Trenton, NJ, 4 July 1866 [16” x 20”]. Service certificate, Adjutant General’s Office, Trenton, NJ, 7 July 1888 [ 8” x 10.5 ]. replacement discharge certificate, War Department, Washington, D.C., 23 December 1910 [ 8” x 10.5”]. Certificate in lieu of lost or destroyed discharge certificate, War Department, Washington, D.C., 28 December 1910 [ 8.5” x 11”]. “Army of the Potomac” memorial published by the National Tribune,Washington, D.C., 1904 [ 19” x 25.5”, badly torn].